Aluminum Scotch Tape is a foil covered with an adhesive layer. It has high UV and thermal radiation reflection degree which makes it irreplaceable by thermal insulation production and repair. 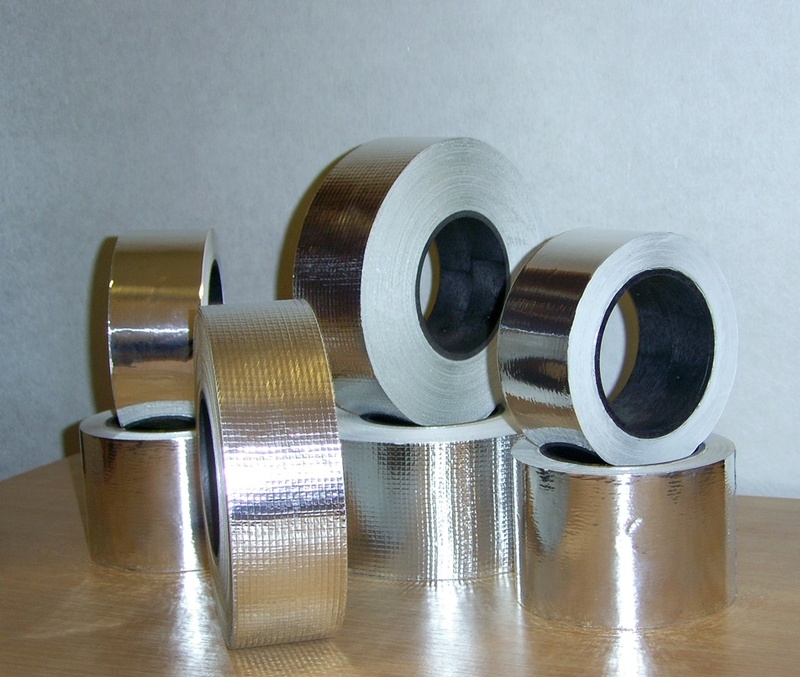 Aluminum Scotch Tape is used for various construction, repair and installation work. Reinforced Aluminum Scotch Tape with a polypropylene foundation, reinforced with fabric fibers, is a self-adhesive tape notable for the high tear tolerance and wearing capacity and low coefficient of extension. Reinforced Aluminum Scotch Tape’s field of application is similar to that of the Aluminum Scotch Tape except that it is limited to max. 100° С working temperature. Reinforced Aluminum Scotch Tape can be used for various repair and installation work such as assembly of panels; sealing of coupling joints for pipes, air ducts and cases; protection of equipment parts from steam, dirt and dust and for the thermal insulation of surfaces. production of the household kitchen equipment (in gas and electric stoves, ovens, microwaves and refrigerators); for a reliable protection of the equipment parts from steam, dirt and dust.